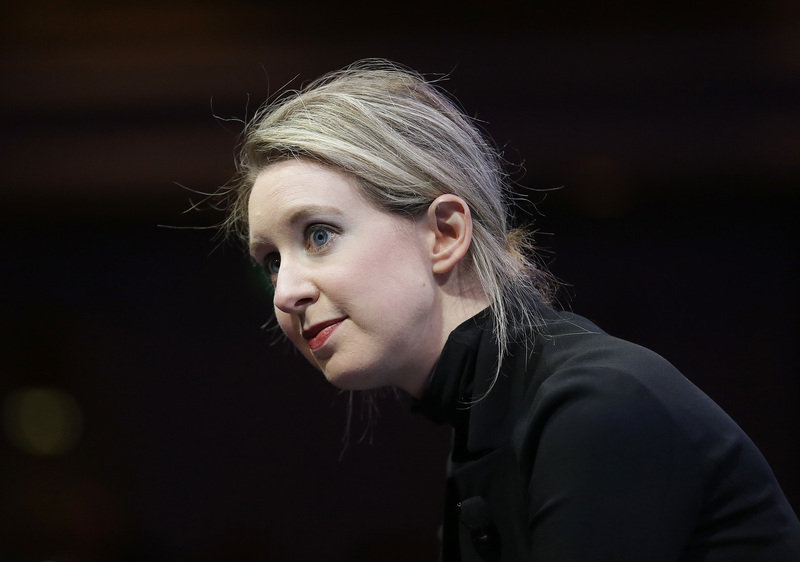 SAN FRANCISCO (CN) – Elizabeth Holmes, founder of biotech firm Theranos, and the company’s former president and chief operating officer were indicted on fraud charges Friday, accused of lying about the reliability of its portable blood testers. Holmes is a college dropout who founded the blood-testing company that once garnered headlines for its potential to revolutionize health care through a small portable device that purportedly could perform a wide variety of blood tests historically relegated to an expensive and time-consuming lab processes. Now she faces charges that she and Ramesh “Sunny” Balwani hatched a multimillion-dollar scheme built on misleading investors and the public about the accuracy of their tests. The federal indictment filed in the Northern District of California alleges Holmes and Balwani sought both money from investors and revenue from doctors and patients by exaggerating the technological efficacy of their portable blood tests. They are also accused of misleading investors about contracts and potential revenue streams. Specifically, Holmes and Balwani used various inducements to convince doctors to use the tests and distribute them to patients despite knowing the accuracy of test results were unreliable, according to the indictment. Holmes and Balwani both face up to 20 years in prison if convicted. Theranos issued a statement Friday saying Holmes has been replaced as CEO but remains chairman of the board. The criminal charges mirror a civil suit filed in federal court by the Securities Exchange Commission in March. As part of a settlement with investors and the SEC, Holmes agreed to sell her 19 million shares in the company while promising not to serve as the officer of a public company for 10 years. The SEC suit alleged Holmes raised nearly $700 million during a two-year period beginning in 2013 by using false pretenses. Holmes was once the darling of Silicon Valley, as a 19-year old Stanford dropout who founded a company that was once worth $9 billion and drew investors like Rupert Murdoch and members of the Walton family, with U.S. Defense Secretary Jim Mattis and Henry Kissinger once serving on its board. Theranos claimed it equipment could provide an array of blood tests for patients in their home by using a single drop of blood from a finger prick. The technology was purported to give patients with a range of diseases the ability to monitor their health through the tests, while allowing them to bypass the effort and expense of getting blood work done in a lab. The company not only lured investors but signed a huge deal with Walgreens to sell the blood tests direct to consumers. But of the 200 tests the company said its equipment was capable of performing, it could only produce verifiably accurate results for 12 of them. Specifically, tests aimed at showing content levels of calcium, chloride, potassium, bicarbonate, HIV, HbA1C, HCG, and sodium were unreliable, according to the Food and Drug Administration. The indictment says that despite being fully aware of these deficiencies in the technology, Holmes and Balwani aggressively marketed their product to investors, doctors and patients as accurate.